Why spend more money than you need to when it comes to a vacation? Like any other big expense, there are easy ways to cut back the costs without sacrificing any fun—with the end result being more vacation for less money. Interested? 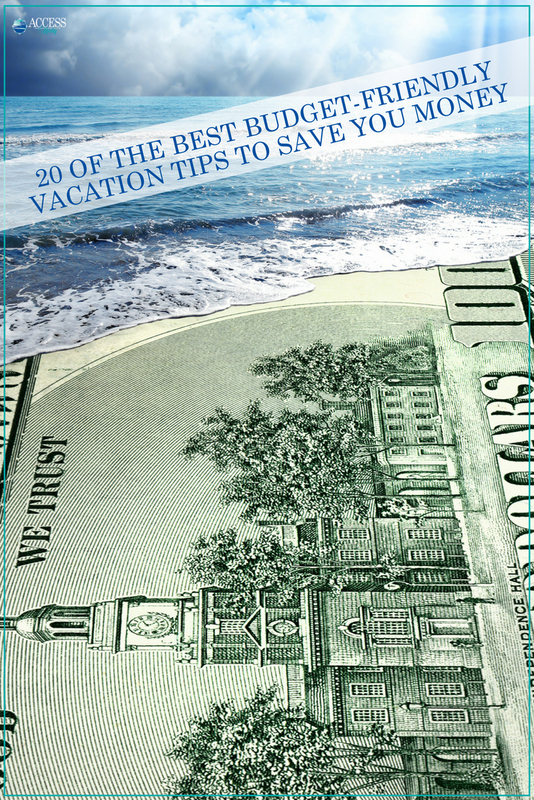 Check out our 20 best budget-friendly vacation tips guaranteed to save you money. You’re welcome! 1. Save ahead of time. Start saving for your next vacation as soon as you can. It’s a major expense, so the sooner you start socking away money the better. Small savings spread out over time are much more manageable than waiting too close to your vacation dates. You won’t feel as stressed to save that way and you won’t have to pull from your savings account last minute to pay for it, or come home with a hefty credit card bill that you aren’t prepared to pay for. 2. Set a vacation budget. Setting a vacation budget lets you know how much you need to save (see above) and gives you a pretty good idea of how much your vacation is going to cost. Break it down into categories like travel, accommodations, meals, attractions, spending money/incidentals, and the things you’re planning to do—and see how the numbers play out. You can always adjust where needed, but it’s a great start to knowing how much you are able and willing to spend on your vacation without breaking the bank. 3. Choose a vacation rental instead of a hotel/motel. When you choose a vacation rental as opposed to a hotel or motel stay, you are already getting more bang for your vacation buck. Not only do you have the ability to save money by cooking and eating some of your meals in a full-sized kitchen (which is a HUGE money saver), but you also get the additional perks of more privacy, more room, and more choices to personalize your vacation. Vacation rentals are definitely the way to go! 4. Be flexible when choosing your vacation dates. Vacation rentals book up quickly, so do your research now and get your accommodations reserved. If you can be flexible with your vacation dates, do so. Off season and mid season dates are more affordable than peak season dates. Look at pricing for several different weeks you’re considering and see where you’ll save the most money. 5. Check for vacation rental deals and specials. You won’t know what specials and deals are out there on vacation rentals unless you look (or ask). It’s well worth your time to do a little advance research and to know your savings options. 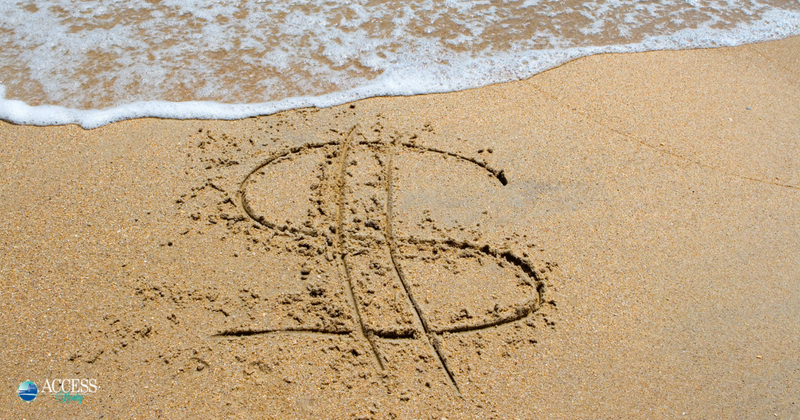 For example, here at Access Realty we offer the following ways to save money on your NC beach rental. 6. Book your rental far in advance. You know what they say: The early bird gets the worm. Not only will you get the best selection of vacation rentals to choose from by booking in advance, but you will also save money on the biggest portion of your vacation expense—the accommodations. Book early and start making payments on your vacation a year in advance. Access Realty takes reservations a full year ahead of time. Avoid the convenience fee by paying by check ahead of time on your vacation (convenience fee applies when paying online/over the phone/or paying less than 30 days from check in date). Save, save, save! 7. Vacation with your friends to split the cost. If you travel with another family, you will be able to split the cost of the rental, as well as some of the food expenses. As an added bonus, your kids will probably need less entertaining since they’ll have friends to keep them occupied. Traveling with a large family or group? No problem! Access Realty offers amazing rentals that accommodate large groups where everyone can vacation together with ease and in comfort. 8. Eat most of your meals in. This one is kind of a no-brainer. Take full advantage of preparing and eating some of your meals in your vacation rental kitchen, where the appliances you need are right there ready and waiting for you. From coffee and snacks to breakfast, lunch and dinner—every time you choose to stay in as opposed to going out, you’re saving yourself money. Dining out every day for every meal during your vacation can quickly escalate to one of your largest vacation expenses! So by choosing to dine in, you’re cutting back your spending quickly and easily. 9. Meal plan and grocery shop online ahead of time. While we’re discussing dining in, meal planning ahead of time is a great vacation strategy. Save your precious vacation time by being prepared when you arrive. How? Draw up a meal plan and start making your shopping list. While you’re en route to your vacation, you can shop online and schedule your pickup for the afternoon of your check-in. Here in the Topsail NC area, you can do online shopping at Harris Teeter, Publix, or Walmart and do order pickup so that you’re grocery shopping is done and ready for you the day you arrive. 10. Bring your own snacks. You know your local grocery stores at home and where you can find the best deals, so go ahead and shop for your vacation snacks ahead of time and bring them along with you, if you can. Those items are less things you have to shop for when you arrive—and if you’re road-tripping to your vacation destination, then you’ll have things to munch on along the way. Win-win! 11. 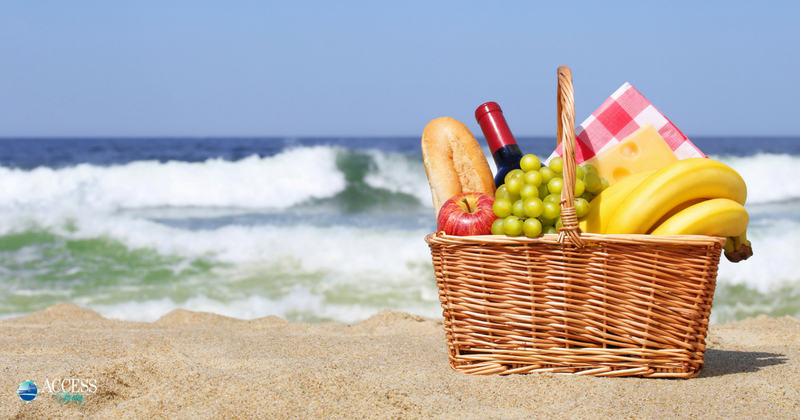 Buy your beach supplies before your vacation. The same idea holds true for your beach supplies. Don’t wait until you get to the beach to buy your supplies. It will almost always be more expensive that way. Instead, bring your own beach chairs, sunscreen, towels and toys. Stock up on what you’ll need ahead of time for your vacay and buy them locally when they’re on sale or you have coupons. 12. Plan ahead and research discounts. Part of vacation planning is knowing how you’re getting to your destination and what you’re going to do when you get there. Research discounts online and in advance for the big-ticket items like plane fare, big attractions, and costly vacation experiences that you’re planning to do while away. There’s almost always some kind of discount that awaits those who search for them. 13. Stop by the local Welcome Center. Swing by the local Welcome Center on your way in to your vacation destination. Oftentimes they have a plethora of helpful local information, coupon books and special offers available to visitors and vacationers. Have questions? They’re also a great resource to answer any questions you may have about the area attractions, things to do, and miscellaneous information you may need or want to know. We love our Topsail NC Welcome Center in Surf City, so be sure to stop by! 14. Follow social media sites. 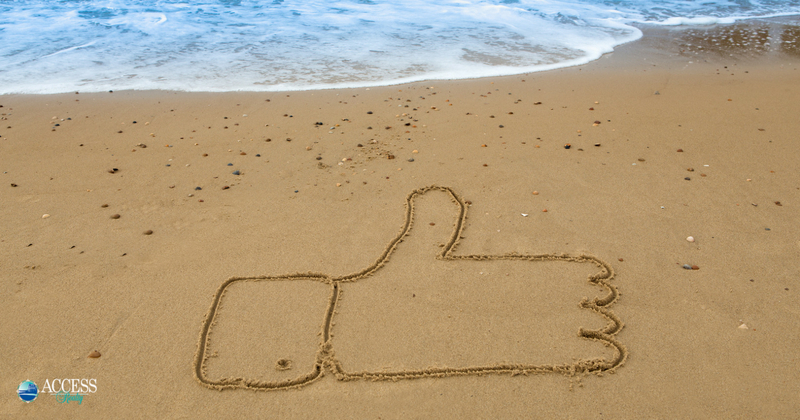 Follow the social media sites of the town or beach you’re vacationing in, as well as the vacation rental company you’re renting from. Not only will you stay up-to-date with what’s happening locally, but you also can find special discounts or fun giveaways just by being a follower or interacting with them via their social media accounts. Be sure to follow along with Access Realty on Facebook and join our VIP – Promos & Savings Group too for an exclusive first look at special savings! 15. Check your credit card benefits for travel discounts. Sometimes it’s easy to overlook the fact that many credit card companies offer travel and vacation discounts. From travel and accommodations to attractions and experiences, it’s worth researching what your credit card company has to offer you. Sometimes it’s cash back or points applied to your card just for using it at certain places, so it’s well worth the time and savings to know that information ahead of time before your vacation spending begins. 16. Find free local events, activities and things to do. Don’t underestimate the amount of free things you can find to do while on vacation. From free (or at least inexpensive) local events and activities to parks, playgrounds, nature trails and more—you definitely want to know what your budget-friendly options are. Looking for local events and things to do during your Topsail beach vacation? Check out these awesome area resources. 17. Plan some nature activities. Just a reminder that nature is free for you to enjoy! Get out there and stroll along the beach, walk a nature trail, explore the coastal landscape, visit a park, go shell collecting, take a run through town, or just get out there and take some photos of the gorgeous coastal Carolina sunrises and sunsets. 18. Know where the local parks and playgrounds are. If you are a family traveling with kids, then you already know that parks and playgrounds are perfect ways to let the kids play, explore, get outside and burn off some energy. Get to know where the local parks and playgrounds are before you arrive, so you know where they are and what they offer. Topsail Island has some wonderful park and playground options. 19. Collect souvenirs instead of buying them. If you’re trying to save money and don’t want to buy souvenirs for everyone in your family to take back home, try collecting your own instead. Seashells, sea glass and shark teeth are all special treasures that can double as the mementos you take home with you from your Topsail beach vacation. Get crafty and display them in a unique way or just gather them up and put them in a jar with some sand straight from the beach. 20. Bring spending money but avoid impulse buys. (Refer back to #2!) Of course you want to bring some spending money for incidentals along the way that you may want to purchase during your vacation but that you can’t always know ahead of time. That’s perfectly fine! You are on vacation, right? Just be mindful of your spending and avoid impulse buys whenever possible. 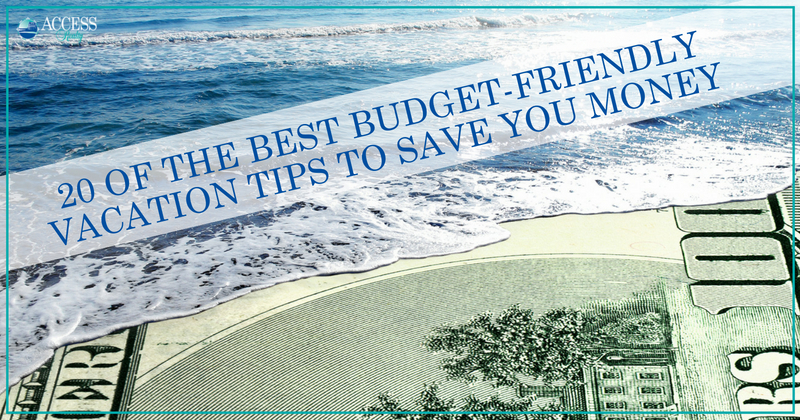 We hope you find these money-saving tips and budget-friendly ideas helpful when planning your next vacation. Cheers to vacationing and saving money while doing it! Did we miss anything? If you have any advice on how to save money on a vacation that we missed, please drop a comment below. We want to know!